Join us for a work day in Cheaha Wilderness, Talladega National Forest. This month we will be working on reorienting a wilderness portal sign on the Cave Creek trail and fixing a few confusing trail junctions where it has been reported that hikers are getting lost. 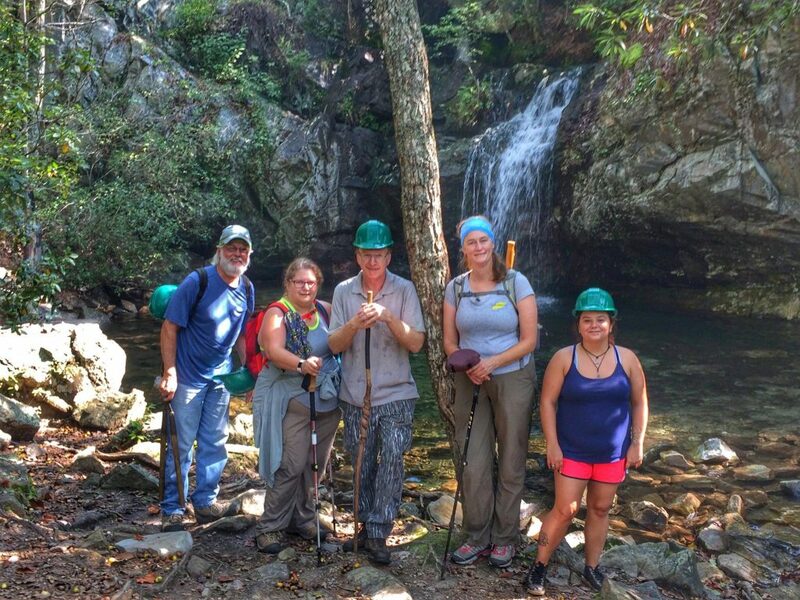 Meet at the Cheaha State Park Store at 8 a.m. From there we will drive to the Cheaha trailhead where we will begin our work on the Cave Creek trail. Total round trip mileage will be about 4 miles and this is rated difficult due to rocky terrain and elevation gain. Please note these conditions and plan according to your limitations. We hope to be done by 2-3 p.m. Items to bring (we provide the rest): work gloves, at least 2 liters of water, snacks, food, long pants, tick/bug repellent, and sunscreen. Helmets are required and we will provide one if you don’t have one.